The Hudson Reed Dual Concealed Thermostatic Shower Valve with Round Back Plate offers thermostatic showering with two easy to operate controls, one operates flow control whilst the other allows temperature selection. To be used with a fixed head or slide rail kit. Suitable for all types of plumbing installation this valve has the added safety benefit of a built in anti-scald device should the cold water supply fail. 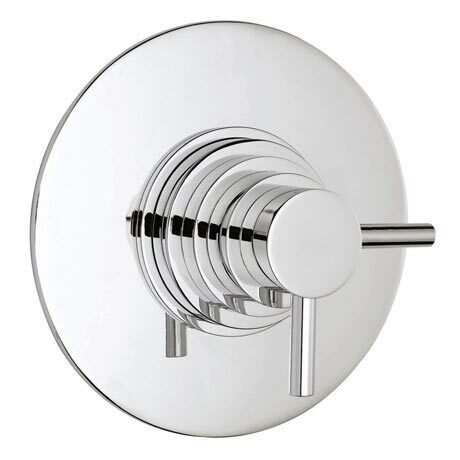 The Series F II Dual concealed Thermostatic Shower Valve adds a touch of sophistication and style in any bathroom. Yes you can rotate this vertically to allow for your hot and cold feed to fit. Just what was described. Arrived quickly, good value.